A new coffee hotspot has just opened in the CBD, but it’s a little different to your run of the mill cafe. Enter The Daily Coffee Co. - our new cure for the daily grind. While we’re blessed with fantastic cafes all over this fine river city, the combo of bloody great coffee housed in a brew-tiful heritage space has The G&G swooning (or maybe that’s the cold brew on tap, helping us fight summer humidity one sip at a time). With a true love of local, they’re bringing the best neighbourhood finds right to the city, sourcing beans from Albion’s Neighbourhood Coffee Roasters and goodies from Newmarket’s Crust + Co (think paleo choc banana bread and gourmet toasties). But what makes The Daily Coffee Co. even more special is its commitment to making a difference. 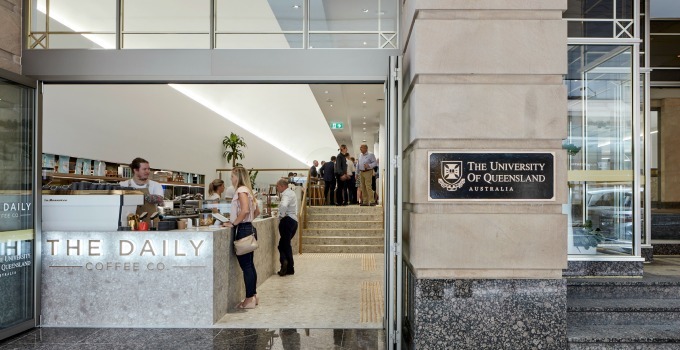 In support of University of Queensland’s Not If, When – the Campaign to Create Change, 20c of each coffee served will be donated to a charity, from dementia research to scholarships for students in need. Now that we love a latte! 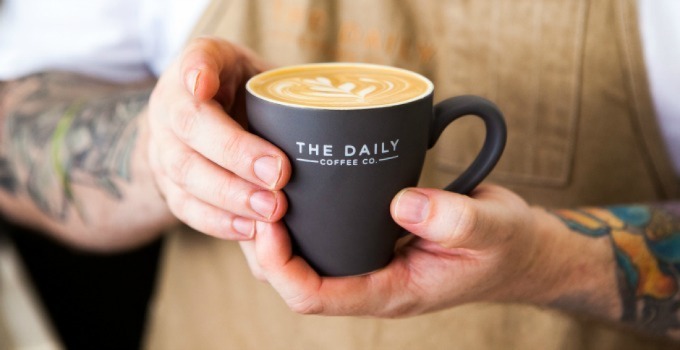 You’ll find The Daily Coffee Co serving coffee and organic teas at 293 Queen St, Monday-Friday 6.30AM-3PM.